Sir Roger de Pridias became the heir at 22, upon the death of his father Peter, in 1316. Roger had livery from 9th October 1315. The wearing of livery had been popular for many years, but during this period was becoming more popular as a means of showing status, both social and financial. Similar colours would be given to servants and squires to denote attachment to the original wearer of the livery. It became a form of badge of honour and support, in a similar way that a football supporter might carry the colours of his team. The wearers though mainly were in the employ or service of the Lord of that particular livery. Roger was also a chosen Knight of Devonshire and summoned to parliament aged only 27 years old. However, travelling to Westminster took a long time and cost a great deal of money. Many MP’s resented the journey when there was so much else more interesting to do. They enjoyed the title without the work. Edward I summoned permanent Councillors, businessmen and clergy, to work alongside Knights and burgesses. The main plan was always to raise money through the taxation of the newly rich merchants and tradesman. The Knights would return to their shires and towns bringing news of additional taxation. For this reason, Knights often ignored the sheriff’s writ of summons and did not attend. They had to the make the decision to be popular with the neighbours or the King. Edward III gave Cornwall to his younger brother John. Restormel and Tintagel were becoming tumbledown and Tintagel was roofless and falling down, even though it was only thirty years since Edmund had done his restoration work. John died in 1336 and Edward III raised his son Edward to the rank of the Duke of Cornwall at seven years old. He was also known as the Black Prince. As I said in the last chapter, Edward organised that his son should have the income from the Duchy and this has applied until the present day. The Duchy is given to the eldest son of the Crown upon birth, whereas Wales comes to him later. Edward III lived for such a long time, that the Black Prince had much control over what went on there for years. Land for 3 ploughs, woodland 2 acres, pasture 20 acres, 2 villagers and 3 smallholders 2 slaves. The families had known each other for centuries and it made complete sense to marry their daughter to a de Pridias boy. Still the family were de Pridias, you will note. The lands at the time were generally referred to as Pridias land. I am using the term Prideaux for the land and property in order to differentiate, but I repeat that Prideaux has been used to name the village and the lands retrospectively. If one considers that, most recording of events was by the writings of clerks and the clergy to this point and printing was yet a little way off, perhaps the theory can be more understood. Also, the vast majority of people could neither read nor write and stories were mostly word of mouth. Considering the pronunciation and differing accents and use of language, then it is easy to see how Pridias could become Pridix then Prideaux. This is the most likely explanation of the morphing of the name. It was around this time that surnames were becoming more permanent and an accepted form established. According to R M Prideaux in his Westcountry Clan, he discovered more than 40 versions of the name in his research. But I can accept this explanation for the different recording of the name of the same person in different documents. In the wills of my ancestors’, the name was spelt in versions of Prediaxe, Predyaxe and Prideaux. These spellings referred to brothers and sisters and I can only assume that the spellings were phonetic. The sound of Predyaxe is not very far removed from Pridyas. It also appears that Sir Roger de Pridias worked regularly with his Cornish properties around Prideaux and would have mixed socially with his new wife and her family. The Treverbyn and Prideaux arms have remained joined since their marriage. 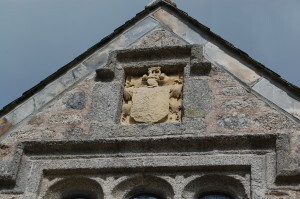 The combined coat of arms in sandstone over the main door of the Old Manor at Prideaux is proof of this. Roger enjoyed being in Cornwall and he did not pay homage for his lands in Orcharton until 1322. It was directed that seizing should be given after his payment of his reasonable relief. But he did not make payment until 6th October 1322 when he paid 5 marks for his relief for the hamlet of Orcharton which he held of the King in capite by the service of one Knights Fee of the fee of Morteyne. He presented to North Alyngton in 1341 and to Brodoke after the death of Reginald in 1343. Roger and Elizabeth had two children, Roger, the heir and John, the continuer of the line to which I belong. Alyngton had come into the hands of the Roger through his wife Elizabeth, the daughter and heir of Walter Hugh de Treverbyn and his wife Theophila. Roger junior has a story which is worth the telling. He should have inherited but he predeceased his father. Roger junior had married twice, first to Elizabeth, daughter and heir to Sir John Clifford who bore him two sons and a daughter. These were Peter, his heir, John and Edith. Elizabeth Clifford was the heiress of Combe in Teignhead. 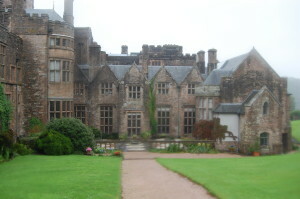 This manor was held in 1274 by Reginald de Clifford of the Earl of Cornwall. The Cliffords had also the manor of Middle Rocombe, which lies between Newton Abbott and Teignmouth. Elizabeth brought the property to the marriage. Elizabeth sadly died soon after giving birth to Edith and so Roger married Johan, the daughter of Peter Clifford. These women were cousins. Roger and Joan had five further children, but their names are not known. She survived her husband and claimed dower in Orcharton in 1347. Of these five children, nothing is known and chances are that they are the parents of some Prideaux children in the future, unless they all died of the plague. I hope not. Roger senior had granted the lands to Roger and his wife Johan for the term of their lives [Council Book of the Black Prince f. 306] Roger’s widow Johan put to the Council of the Prince of Wales in 1347 that it should be enquired into what estate she had in certain lands in Orcharton and La Wode settled by her husband on her and her child. This is where we can make the deduction that he died that year. In the `Survey of Devon` we note that this same area, where La Wode is situated, is the place known as Woodland. It is said that the land had been owned by the Wodeland family for generations and that Walter himself was knighted by the Black Prince. It does not mention the Prideaux holdings and one again wonders whether or not Sir Walter managed to get hold of the entire holdings while he was in charge during the wardship of young Sir Peter. Woodland is by Ivybridge and now is covered by houses, industrial buildings and cut straight through by the A38. I will describe the area and my visits there in a later chapter. On the 18th July 1347 the wardship and marriage of Peter Prideaux, their son and heir together with the advowson of the Church of Come in Thin hide were granted to Walter de Wodeland. De Wodeland was an usher in the Chamber of the Black Prince and was residing in the hundred of Ermington in 1347. The wardship was ordered personally by the Black Prince in his role as the Duke of Cornwall. This was granted for the period of his minority. A year later, another return was made to the Council where the annual rent of 100s out of lands held at Orcharton, La Wode and the inherited lands were claimed. On 4th December 1361 it was directed that the age of Peter should be verified by the Council and at this time he attained his majority. However, Peter soon died in December 1361 although he had already married Joan the daughter of William Bigbury, before attaining his majority. If Agatha Christie were writing that story, the intimation may have been that Peter met his death suspiciously, dying so soon after becoming eligible to take control of his fortune. That is not saying that de Wodeland was a guilty man, but these things did happen. Perhaps it was just sheer coincidence that he died before providing an heir. Walter de Wodeland had also managed to obtain the manor of Cockington upon the death of James de Cokynton by marrying his sister Lucy, just prior to this. This manor is situated between Woodland and Orcharton. Walter died in 1374. Wardships were excellent ways to improve one’s lot as decisions within those manors now became under the ward-ship influence. Marriages which were advantageous to the warder were also negotiated. Succession passed to Peter’s brother John, who was also a minor. Again, the lands and fortune could not be placed in the hands of an underage boy and must be supervised and run by a nominated suitable person. On 6th June 1363 the Council decreed that John, his marriage and his lands would be under the wardship of John de Montague. De Montague was the 2nd Earl of Salisbury and lived between 1329 and 1396. The wardship of the body of John Prideaux and the lands of the said heir in the Kings hands by reason of the minority of the said heir, together with his marriage, were granted to John Montague. In 1368 the brother John, now married to Elizabeth and come of age, granted some lands to Walter Dabernon. In 1384 John Prideaux Knight charged his lands in Combe in Thynhyde, for £20 per annum. He presented to the Church of Combe in Tinhead in 1391. John was Knight of the Shire in 1383 and 1386 He was also MP for Devonshire in the 7th and 11th year of Richard II. Sir John killed his relative Sir William Bigbury in a duel on Sequers Bridge at Flete, Devon because of a quarrel while out hunting. The duel has also been recorded as taking place at the Five Crosses at Modbury. Sequers Bridge has also been known as Sacas Bridge or Sackers Bridge. It was the highest point at which sacks could be unloaded for transport on and off the river. I owe this piece of information to Christopher Miller of Great Orcherton. However, my son Richard suggested the possibility that the bridge was so named as a result of the sequestration of the lands of the de Pridias by the Crown after the death of Sir William. The road from Ermington to Modbury travels over the bridge now and I am sure that the bridge has been widened on perhaps more than one occasion. There are three arches and the water which passes under it is not very deep. In the days of this family and for hundreds of years after, the water was considerably deeper. There is a wonderful view of Flete House from the bridge and although the present house was not there at the time we are referring to, a previous house was. The group was apparently out hunting and it is easy to see how the meet was at the property and went through the trees and grounds, alongside the river to this point. Why a duel on the bridge? A natural crossing point, perhaps one knocked into the other and started the argument or perhaps one waited for the other. There is no record about why this duel or fight took place. The only facts known are that Sir William’s daughter Johan, was married to Peter de Pridias, Roger’s brother, just before his untimely death. There is no mention again of Joan and one wonders how she was treated by the de Pridias family and her brother in law John, when he gained control of the estates. Perhaps there was an axe to grind on the part of her father Sir William. I would assume though that the fight was personal. We shall never know. Sir John de Pridias killed the older Sir William Bigbury, and lost much as a result. He had to surrender the greater part of his estates in order to secure a pardon. In the wills left by his son and grandson, it seems that much of his Devon estates were lost in this way. It is stated in The Parochial History of Cornwall in addition to Princes Worthies of Devon and under the Falmouth District, that John of Orcharton was condemned to be hanged. He gave most of his estate to Edward III in order to be pardoned. It was recorded that William Bigbury’s ancestors lived for nine descents from the Norman Conquest to 1360 when two daughters and heirs married Champernowne of Beer Ferries and Durneford of Stonehouse. This was the same time as his daughter Joan married Peter Prideaux. Nancy Savery, a member of Modbury Local History Society, sent me the following. 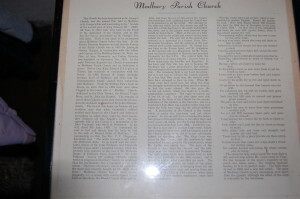 There is a tradition that Sir John Prideaux slew his relation Sir William Bigbury at a place called ‘The Five Crosses,’ near Modbury and, being one of the party of the White Rose against Henry IV, in order to secure his pardon was obliged to part with several considerable manors… The above is quoted from The Parochial and Family History of the Deanery of Trigg Minor, Vol. 2. , by Sir John MacLean, re the family of De Pridias Alias Prideaux, pages 194-203. Five Crosses (OS ref. SX 642513) is quite near the property of the Modbury branch of Prideaux, Orcheton. 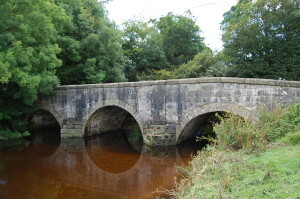 Sequer’s Bridge (not mentioned in the above quote from MacLean) is OS Ref SX 634518. John’s family was almost ruined. The manors of Cullom John and Comb in Tynhead and other lands were surrendered to the Earl of Devon as punishment. As Sir John was also perceived to have been one of the parties of the White Rose against Henry IV, this would not have gone down in his favour. He was probably caught up in the struggle between the Houses of York and Lancaster and his accusers were on the side of Henry IV while Sir John backed Richard. Not one of the Prideaux families ever presented to the Church of Combe in Tynhead. 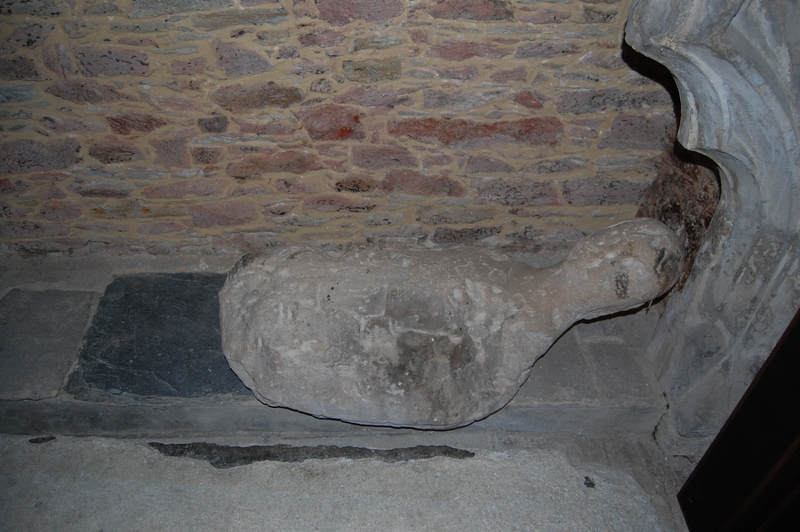 His will dated 5th June 1403 directs that his body be buried in the aisle of the Church of St Peter in Modbury. 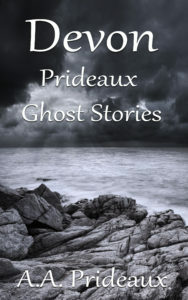 The Prideaux Aisle is also mentioned by Leland. At Modbury Church there is a book open as follows. 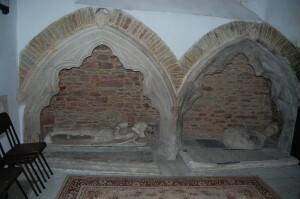 His monument remains in the church of Modbury. We visited this church and saw the impressive alabaster monuments of Sir John and his wife Elizabeth.